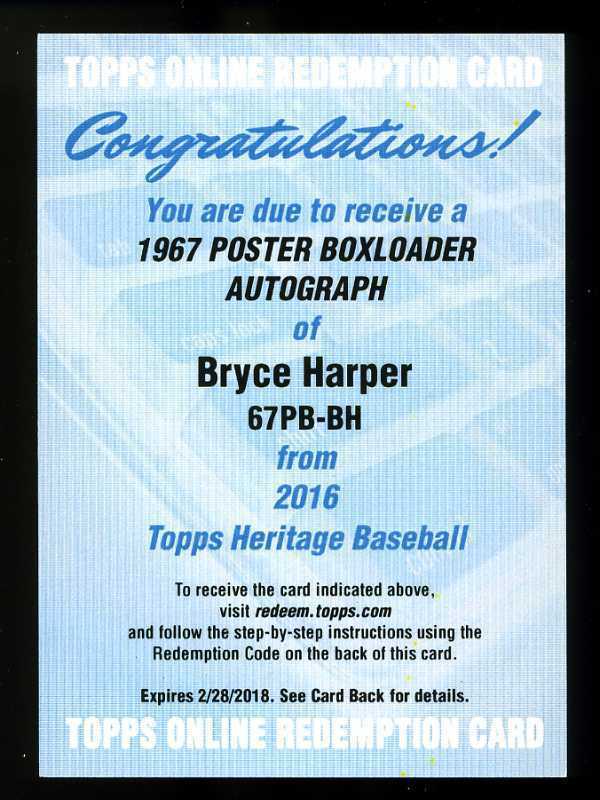 I opened three cases of 2016 Topps Heritage and this could be one of my biggest hits ever. 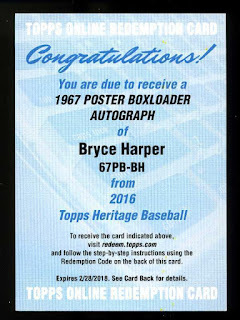 It was a boxtopper redemption for a 2016 Topps Heritage Bryce Harper 1967 Poster Autograph Relic card. Looks like it will be numbered out of ten. I really had a lot of fun (as usual) opening Heritage this year and I'll post more pics of what I pulled over the next few days. I also have tons of base cards and SP's if anyone wants to trade.